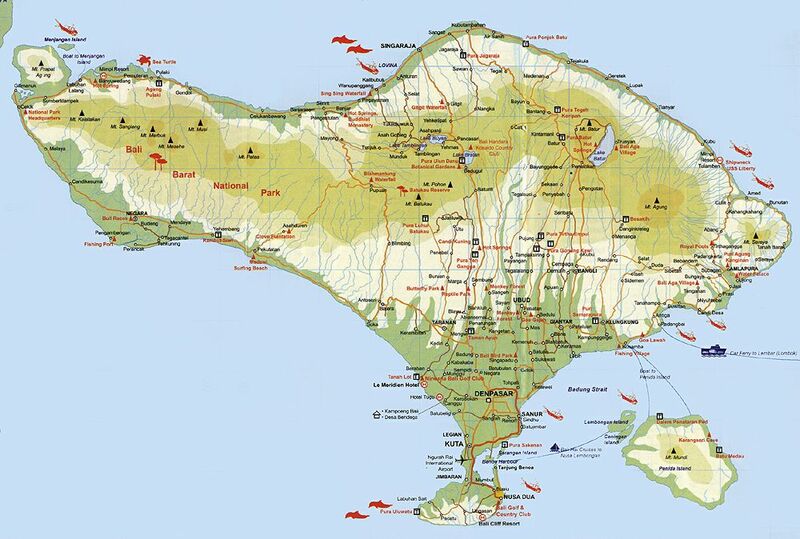 Bali Indonesia - Bali is a tiny volcanic island in Indonesia which offers much to the traveler. Tiny, volcanic Bali is one of the most enchanting islands in the world. It entices a million tourists a year, drawn like moths towards an exotic flame. A flame fed by a fascination with the unique Hind Balinese culture of a gentle people, the legendary beauty of a land checkered by verdant rice fields studded by ancient temples, and the allure of coral seas alive with marine life beyond imagination. Bali offers the best in trekking, mountain biking, white water rafting, sailboarding, surfing, hang gliding & paragliding, and cruises & sailing. You might also want to rent a car and tour the island on your own. The shopping in Bali is like nowhere else on earth. You'll find unique fashion items of extremely high quality as well as informal beach wear perfect for Bali's climate. You'll find ancient Chinese or Dutch pottery, ornamental statues and pots, traditional cloth and weavings, batik, wood carvings, Bali paintings, gold and silver jewelry, cane bags and baskets, furniture everywhere - and the bargaining is half the fun! 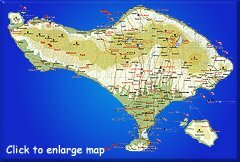 Sea: Regular passenger ferries from Lova and Lombok. QuickTime Movies - Viewing the movies requires QuickTime available for download from the Apple web site.